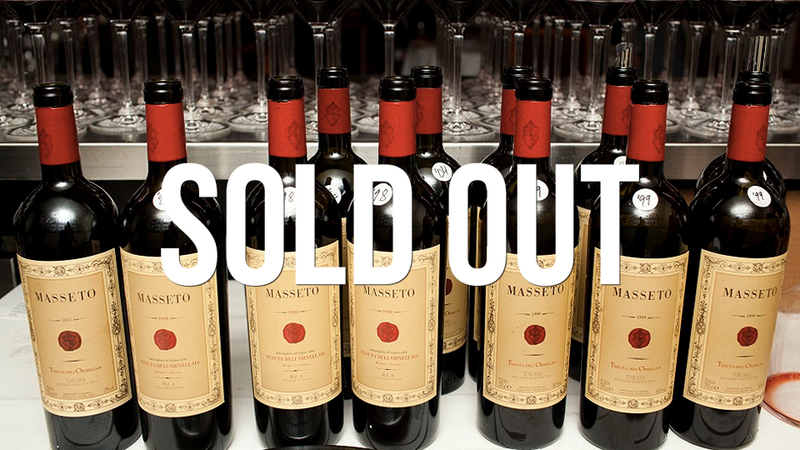 Join Antonio Galloni and Masseto Winemaker Axel Heinz for a once-in-a-lifetime vertical of Masseto spanning every vintage back to 1987. The Rotunda in the Country Music Hall of Fame will be the setting for what is sure to be an incredible night of wine, food and conversation. Special guests include Martina and John McBride and Pam and Steve Taylor, who are generously donating the wines. Seats to this very special dinner will be auctioned at the Nashville Wine Auction, which will be held on July 22, 2017. Interested bidders should contact Holly Hearn Whaley by email Holly@NashvilleWineAuction.com or phone +1 (615) 329-1760. Established in 1980, the Nashville Wine Auction has raised more than $21 million for organizations whose purpose is directly related to treatment, patient care, and the eradication of cancer. Each organization has national reach with local presence in Tennessee. The 2017 list of beneficiaries includes the American Cancer Society’s Hope Lodge, Gilda’s Club Nashville, Leukemia Lymphoma Society, Make-A-Wish Foundation® of Middle Tennessee, PearlPoint Cancer Support, St Jude’s Children’s Research Hospital, Saint Thomas Cancer Network, and Vanderbilt-Ingram Cancer Center. We have specific projects with each organization and work closely to provide funds for programs and research that have a significant impact. * all information on this page is accurate as of July 14, 2017 and is subject to change.